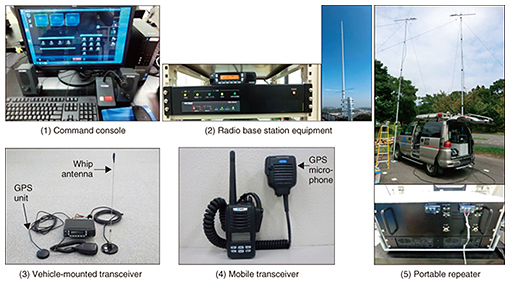 Using wireless to restore communications after a disaster « Steven J. Crowley, P.E. Since the 2011 Tōhoku earthquake and tsunami in Japan, NTT has stepped up research on new wireless systems to aid in disaster recovery. Some of its progress is shared in several articles in the January 2018 issue of the NTT Technical Review. A transportable antenna and transceiver with 50% reduced weight and volume compared to previous equipment can restore fixed data links up to 600 Mbps at a distance up to 12 miles. See the article here. Long ago, for its internal use, NTT had a push-to-talk network operating in the VHF band. It went into disuse with the growth of cellular communications. The earthquake’s disruption of cellular networks caused NTT to revitalize and make more robust this in-house wireless communications network. See the article here. NTT has developed and deployed a 400-MHz-band wireless access system for use following disasters that can support Internet connections and emergency-use public telephones. Each base station supports multiple radio terminal stations, which in turn connect to public phones or to Internet access such as Wi-Fi. The weight of a component is low enough that each can be transported by two people. See the article here. During wireless equipment deployment in times of disaster, engineers skilled in cellular and radio frequency planning may not be readily available. 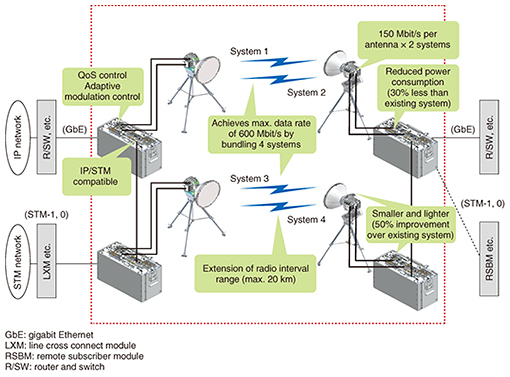 NTT has developed frequency planning tools that can be used by ordinary personnel. These techniques are wireless-technology independent. See the article here. This entry was posted on Monday, January 29th, 2018 at 3:56 pm and is filed under NTT, Wireless. You can follow any responses to this entry through the RSS 2.0 feed. You can leave a response, or trackback from your own site.